Samsung’s Galaxy S5 was well received by both users and critics, but it lacked innovation. It seemed as if it was an updated or prime version of the Galaxy S4. It came with the same amount of RAM, a new processor, and a slightly more square design. They did manage to stick a bigger screen inside the same dimensions which was welcome. The Galaxy S5 added a heart rate monitor and a fingerprint scanner, but it lacked that ‘must have’ feature that drives consumers to buy new devices. Samsung is feeling the heat with their dwindling sales, and while the Note 4 may help them, it’s not the answer. The Galaxy S6 will be Samsung’s time to shine. The Galaxy S6 is expected to be the same and more. It will retain the heart rate monitor, UV sensor, and the fingerprint scanner it’s predecessors had. It will also be the first of the S series phones to come with a QHD display. These features will be all but guaranteed. Since Samsung looks to hit a home run with the Galaxy S6, they will pull out ask the stops. One of the most anticipated features would be a processor with 64-bit architecture. This one will be the most likely to happen, seeing as Android L will support 64-bit. 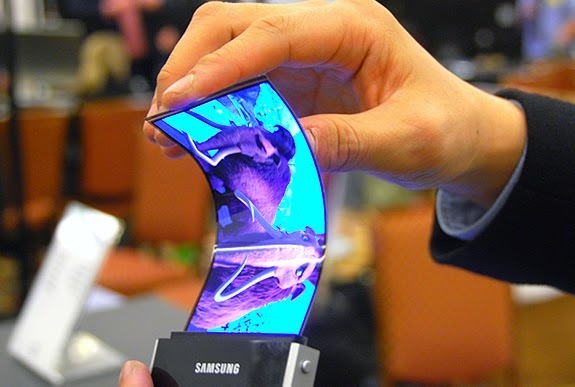 Another feature Samsung could debut is a flexible display. One version of the Note 4 will have a curved display, but the S6 could be one of the first smartphones to have a completely flexible display. Below you can find all the expected and rumored specifications.